Building a good reputation online is not an easy task: it requires constant work since every aspect, even the smallest, can have an enormous influence. For example, the biography of your Twitter profile: an abstract of only 140 characters, essential to get an idea of the user on the first shot. Whether you are a novice or a professional on social media, these are some tips you should follow for writing an effective bio on Twitter. Well, these are 20 characters more than a tweet, but with your Twitter bio you have to make the world understand who you are, what you do, what you love. 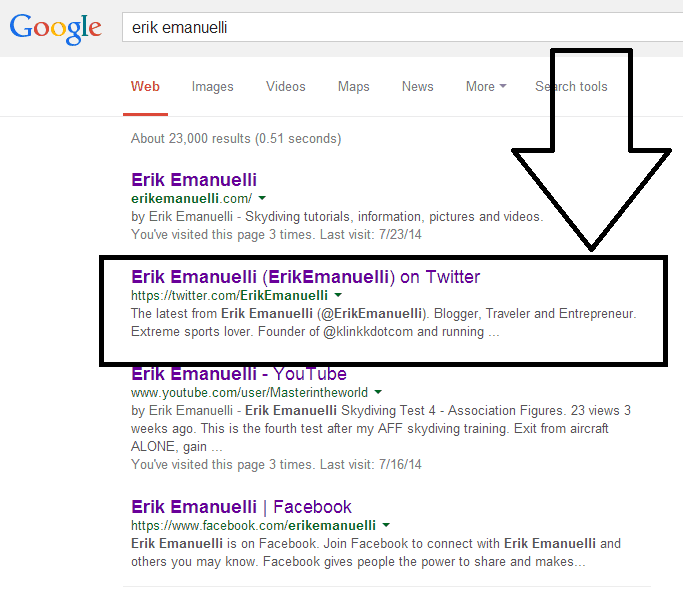 When someone searches you on Google, they will find your Twitter profile among the results . Including the description of it, in other words your Bio. Just keep in mind that it’s the most visible across the internet (with no intention to create anxiety!). If you’ve read a dozen Twitter bios, then you have read them all. In principle, everyone loves something, have a passion for something else or have a favorite food. You need just a little originality on Twitter to be noticed. If you have an anonymous profile, many will think that you have a fake profile, especially if you still have an egg as a profile picture. The profile picture is, in short, an integral part of your bio on Twitter: do not neglect this aspect! Someone manages to be funny, but you don’t have to necessarily focus on the smile to arouse interest. Furthermore, the results are worse when you try desperately to “be nice” and this simply does not work. It’s true in life, but this is worth double on Twitter : also because you have very little space available in your bio! Often you believe you had a brilliant idea, but you end up being terribly predictable. Just avoid the banality, especially when you are talking about yourself! I’ve found this tool, Twitter Bio Generator. Here are 7 ingredients to write a good profile. On Twitter you should use your real identity. Even if you have a passion for Game of Thrones, there is no need that you refer to yourself as “Mother of Dragons” or “The Tyrion of the Outer World”. Some might find it funny, but it’s better to focus on who you really are and what you do. On Twitter you need to be original and make your bio exciting. If you consider yourself boring, this is not the right place to show it to the world. Use an upbeat and positive tone. On Twitter you interact primarily with people like you. In other words, in your niche. The people who choose to follow you are doing it because they see you share the same interests and they realize that you have something in common. Use specific keywords that describe your position and your role. Think of your description such a curriculum. A great resume makes you get a job. 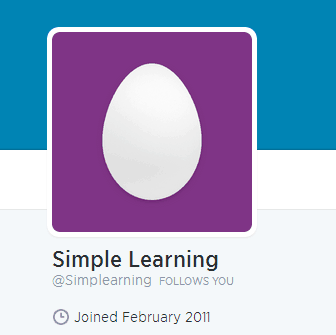 A catchy Twitter bio allows you to attract many followers. You should explain your achievements. Do not risk of being taken for one of those fake profiles. Start by removing the egg and placing a real photo as your profile picture. At this point you can go crazy with love for beer, computers, music, sports or porcelain dolls. As we have already said, people want to follow you for what you really are and your passions are a great way to be authentic. Try to arouse the interest of those who read your description focusing on curiosity. If you are a traveler, for example, people will wonder if at this time you are somewhere in the world. Your bio can be connected to something that represents you outside of your profile. Hashtag : for example, if you deal with SEO, you can just write #SEO to connect your bio to be mentioned within your niche. Link : you can also insert links in your description. If you have more than a website to mention (one can be added in your profile settings), you may use this space to recommend it. Beware, however, of the number of characters it takes. It will take a few attempts, before being able to meet all of these parameters. And take into consideration that the description is one of those parts of your Twitter profile that you can – and over time you have to – change. And you, how is your bio? Do you have any other hints to share? Great post! What I noticed on Twitter is that brands usually write several words or they don’t even write anything there. They miss a way to market their brand! I find being to the point helps a bunch. I dig your Bio on twitter because mine is similar. I share a few of my roles then explain how I’m the owner of Blogging from Paradise. Simple and to the point. I also know using keywords like “blogger” and “freelancer” certainly doesn’t hurt my cause, as you have noted. Wow, what a great point about not having to be funny. Many folks try so hard to be funny or witty when they just don’t have it in them. This trying to hard bit doesn’t come off well because it looks forced, and fake. It’s better to be kind, generous, and helpful, being a positive presence who simply tweets great stuff, who engages your followers and who simply shares what they’re about. I keep it simple: Internet lifestyle junkie, blogger, freelancer. I let followers know what I dig most in life and share 2 of my online roles too. No massive amount of humor or cleverness there; I’m just being true to me. Thanks for the keen tips Erik. I agree with you on being kind and helpful. I love the good karma it produces! Have a great rest of the week in Fiji paradise. Oh I love these tips and I am going to review my Twitter bio. I might even use that generator and see what comes out. I know I certainly find it hard to say everything that needs to be said, and come across as professional and knowledgeable etc etc etc in such few characters. Time to sit down and reassess I think! that “Twitter Bio Generator” is not just funny, it may also give you some hints while creating the perfect description of yourself! Thanks for the share and for your comment! I don’t think I’ve reviewed my Twitter bio since I started blogging so it’s very timely that your post came along Erik! Mine’s very short and to the point. Not very creative, flattering and doesn’t contain any hashtags. I guess that’s where I need to start then :-). I’ve just looked at your Twitter bio : very short and to the point! May be you can mention an hashtag or add some other words in your description. It’s really a helpful thing, that you mentioned here. It’s always important to give a perfect bio on Twitter.It’s something by which people know us. So, it should be effective and natural. Thank you, have a nice day ahead. I can’t tell you how many times I’ve rewritten mine. I’ve taken the advice of so many people which is why I guess I would read what one person said and then run over and try to improve it. Then someone else would write something and I would start thinking about that and run back over and change it again. I just never know if it’s okay or not. I still don’t. What I’m getting is that it need to be light, airy, totally you but share what you do. So try to fit all of that in that tiny space and good luck right! it’s always a big pleasure to see your smile! I love your Twitter bio, it looks really “professional”. You asked me for suggestions, I am flattered! (which I know what it means, but it sounds singular used on a so smiling person like you). I would replace the first couple of words, from “serious blogger”, to “professional blogger”. Just my two cents, Adrienne. P.S. I’ve just added some words more in my Twitter bio too, and changed header! It is really so difficult to write your twitter bio in a limited space. Your first tip is great guide. People want to know who you are and what your are. If we give them exact reply of these two queries it will be sufficient to make us familiar with the twitter community. Yes getting so formal creates your boring image so an impressive bio should not be with lot of formalities and with very lightening adjectives to describe your traits. correct. If you have difficulties writing your Twitter bio, then being simple is the right path to follow. Thanks for sharing informative article. It’s contents really useful for online readers. Great tips to create your twitter bio.I love twitter bio. Twitter is the best way to share your thoughts with your readers. Such a great informative knowledge share with us. The tips above may seem to focus mostly on an individual but some of them can also apply to a corporate twitter account too. However in the case of the company account you do not have to give those fancy things about yourself like what you like, eat. You should focus on what you do/offer and why you are best in it or why clients should choose you over others. This is not the place to give your history and who constitutes the management and board of directors and what have you. It’s also not the place for writing your mission and mission statement. You should view this as your one and only chance of getting recognized and drawing interest of the reader. The simpler the better, in my opinion. You are so right when you say that you don’t have to always use 160 characters in your Tweets. Our company’s motto is less is better when it comes to composing tweets as the shorter they are the more they will stand out and get noticed. Unfortunately, when it comes to tweet length, our approach definitely is in the minority. Thanks for sharing your views, Ken. Thanks for sharing this. For me, the MOST common mistake is to leave the easter egg there 🙂 There are two ways of writing bios; 1. Write crazy ones that attract people. 2. Write something unique about yourself. You won’t go wrong with either one. On top of that, great tips mans!